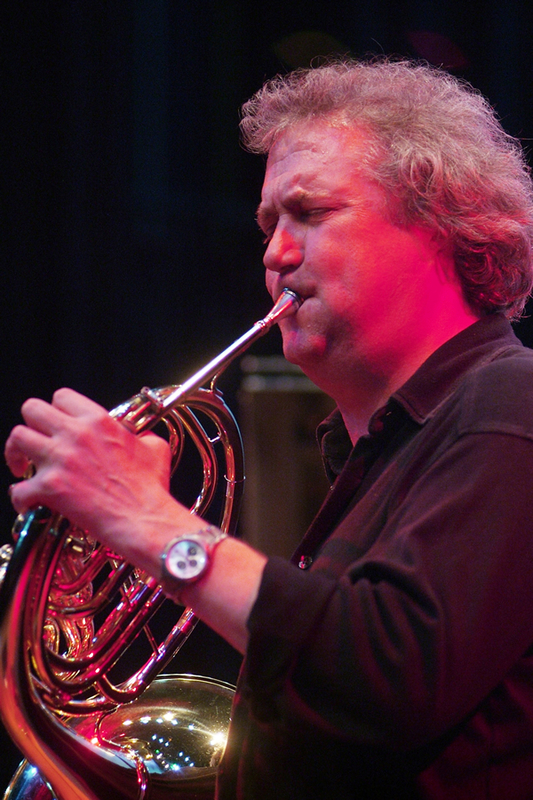 After yet another fantastic double-bill at the Amersham last night we are looking forward to next week’s gig with some excitement – French horn maestro Jim Rattigan will be bringing his star-studded 12-piece ensemble Pavillon to grace our stage! Jim Rattigan has performed all over the world both as a jazz soloist and as a band member of various groups. These include the Michael Brecker Quindectet, the Charlie Haden / Carla Bley Liberation Music Orchestra, the McCoy Tyner Big Band, Django Bates’ Delightful Precipice, the Creative Jazz Orchestra with Kenny Wheeler, Brad Mehldau with the Britten Sinfonia, the Guy Barker Big Band and the Simon Purcell Octet. 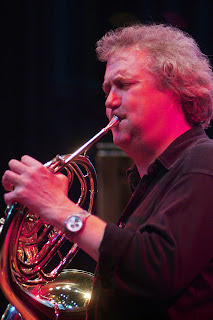 Jim has also toured and recorded with the Mike Gibbs band, the Hans Koller band with Steve Swallow and Bill Frizzell, Julian Arguelles Ensemble, Mark lockheart’s Scratch Band and the London Sinfonietta. emotional warmth and feeling for jazz...permeates his playing throughout the album. Looking forward to seeing you down at the Amersham next tuesday! Join the South-East family and help support live music..